James Henry Burnham, 89 of Winner, SD and formerly of Wood, SD died Thursday, August 9, 2018 at Ava’s House by Sanford in Sioux Falls, SD. Jim was born at rural Wood, SD on June 12, 1929 to Ivy and Maysie (Dickerson) Burnham. He attended the Lookout country school through the eighth grade. Following school Jim worked as a farmhand for his sisters and other various farmers in the area. On April 10, 1948 Jim married Mildred Ann Bachmann at McMinnville, OR. After a short stay in Oregon they made their home in the Wood area. Jim continued working as a farmhand until 1970, when he started driving a bulk fuel delivery truck. He and Mildred raised cattle, milk cows, pigs, chickens and five kids. Jim enjoyed staying busy woodworking, welding and gardening. He also liked to fish, was an avid rattlesnake hunter and never missed an area rodeo. Jim retired from driving fuel truck in 1999 but continued to help area farmers with anything they needed. Jim was known to be a prankster and always looked forward to teasing the children of his route customers. Grateful for having shared in Jim’s life are his children, Linda (Ronnie) Dimond of Wood, and their son Ben (Jenny) Dimond and grandchildren Colter and Mesa all of Wood, and daughter Amy (Keenon) McClaine and granddaughter, Karelli all of Kansas City, KS; Lonnie (Sue) Burnham of Rapid City and their daughter Heather (Matt) Palmer and grandchildren Garrett, Liam, Nora, Hank all of Mina, SD and son Austin Burnham of Rapid City; Lois (Rob) Comp of Presho, SD and their son Lance (Amanda) Comp and grandchildren Brady and Wes all of Presho, SD and daughter Darla (Leon) Cameron and grandchildren Cooper and Ely all of Sherwood, ND; Lori (Scot) Schara of Rapid City and their son Tyler Schara of Fargo, ND, daughter Savanna Schara of Rapid City and daughter Ashley Schara of Sioux Falls; Lisa (Devin Rogers) Burnham of Rapid City and their daughters, Dorian Swanson of Rapid City and Delane Rogers of Aberdeen. 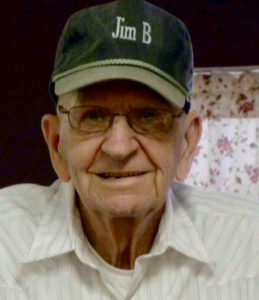 Jim was the last remaining survivor of nine siblings and his parents. He is reunited in the Heavenly Kingdom with his beloved wife Mildred who died on June 8, 1984. Memorial service was held Monday, Aug. 13, 2018 at 11 a.m. at Wood Community Hall with Rev. Gary Walters officiating. Inurnment followed in Evergreen Cemetery in Wood.